The excitement of Halloween has quickly set upon us at the Castle Studies Trust, and we thought we would explore the connection between witchcraft and castles. Castles have a long history as the walls that confined accused witches; the prisons that kept their magic at bay. 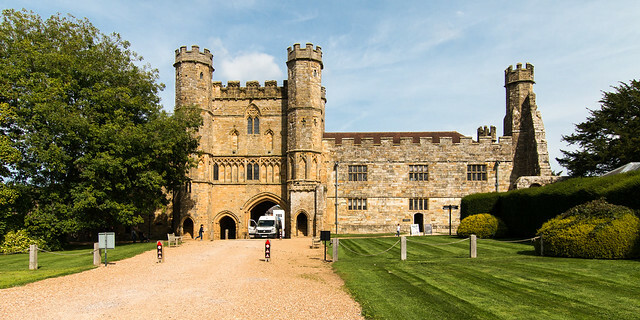 Grab your brooms and cauldrons, we are headed to Leeds Castle in Kent. 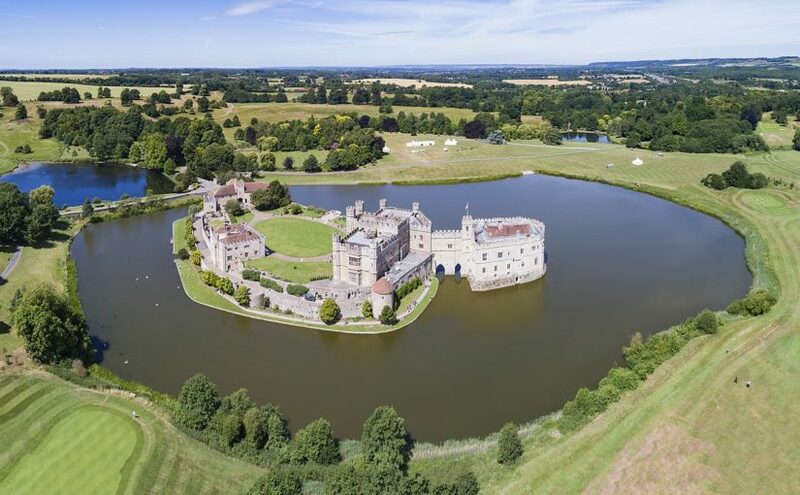 Leeds Castle was famously purchased by Queen Eleanor of Castile, wife of King Edward I, in 1278. The queen enhanced its defences and possibly commissioned the lake that surrounds the residence. 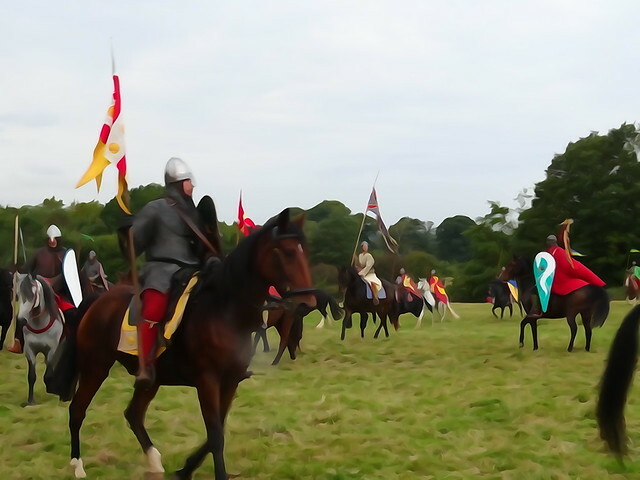 In 1321, the castle saw military action when it was captured by the forces of Edward II from Margaret de Clare, Baroness Badlesmere. The winter of 1381 witnessed Anne of Bohemia, Richard II’s first wife, stay at the castle on her way to her wedding. The castle, thus, had a long history of the seat of female agency and power. It was not until the fifteenth century that the castle was used to enclose and suppress queenly authority. Joan of Navarre, Queen of England and wife of Henry IV is the only queen of England to be imprisoned for witchcraft. In the autumn of 1419, the duke of Bedford and Henry V’s council reported a case of suspected witchcraft in the highest possible circles. 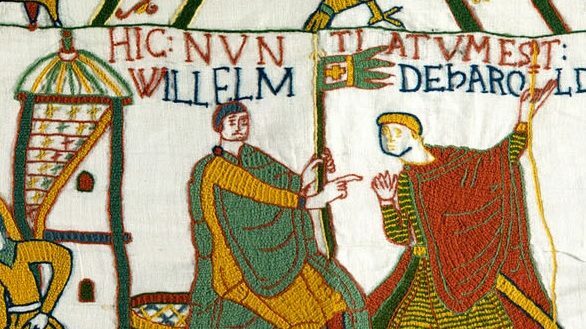 Queen Joan was accused ‘of compassing the death and destruction of our lord the king in the most treasonable and horrible manner that could be devised’. The queen along with her confessor, John Randolf, a friar of Shrewsbury, had according to contemporary chroniclers dabbled in sorcery and necromancy. The royal court and much of the public opinion quickly became ‘feverish with rumours of witchcraft’. Queen Joan was imprisoned for nearly three years, and all her servants and property were taken from her. She was first imprisoned in Pevensey Castle in Sussex and in the last two years of her house arrest she appears to have been kept at Leeds Castle. 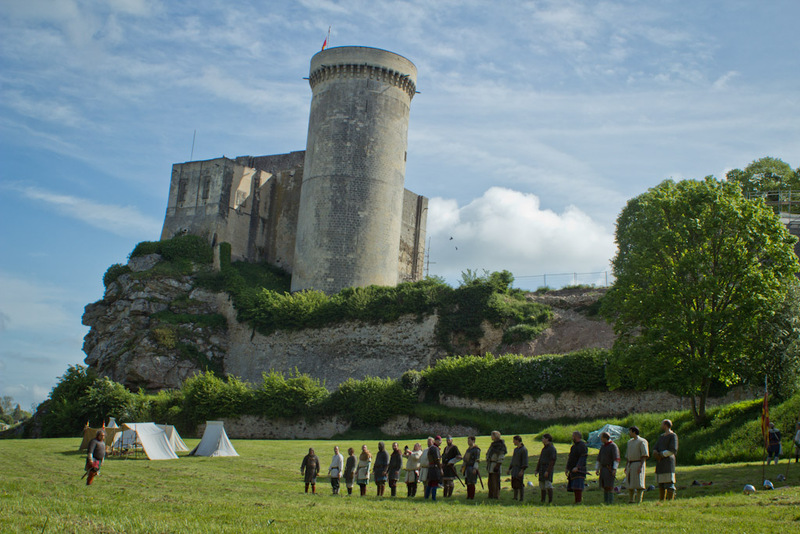 Although imprisoned in the castle, Queen Joan’s surviving household accounts detail the purchase of luxury items, including minever and other furs, tartarin, silk laces, ords, and thread, sindon and Flanders linen. The cash flow in the household accounts has led Alec Myers to conclude that these surely shows that the king did not believe that she had been practicing witchcraft in a treasonous way. 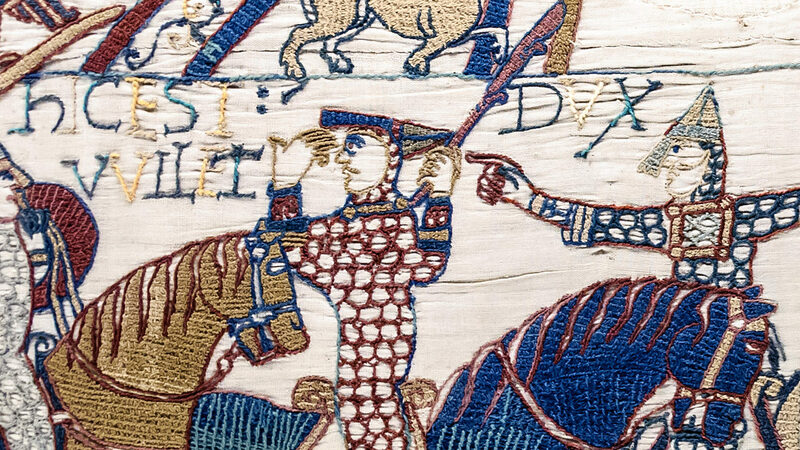 The move to accuse and imprison Queen Joan had its obvious political and financial advantages for the king. Indeed, with the accusations of witchcraft the king was able seize all her possessions and revenues. 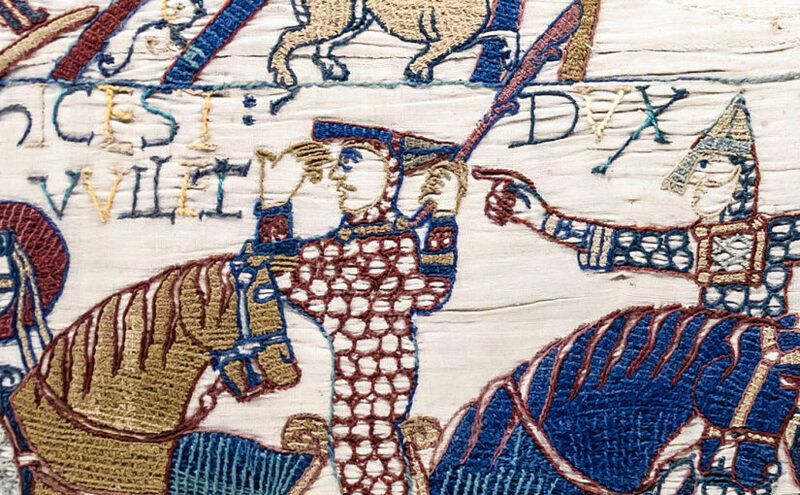 Nevertheless, Queen Joan paid the price of her freedom for the accusation, whether it was false or not. The crime of witchcraft was used – in this particular instance – for the political manoeuvring of powerful men and the castle walls were meant to ensure the enclosure of a powerful woman. Two of the Pendle witches, tried at Lancaster in 1612, in an illustration from William Harrison Ainsworth’s 1849 novel The Lancashire Witches. From Wiki Commons. From Leeds Castle, we move to Lancaster Castle; a castle with medieval origins was used as a prison starting in at least the Tudor period. Nearly two centuries after Queen Joan was imprisoned, a castle would again contain the power of witches. In 1612, ten people convicted of witchcraft were held in Lancaster Castle soon to be facing the gallows. Their crimes included laming, causing madness and what was termed ‘simple’ witchcraft as well as sixteen unexplained deaths stretching back decades. Those accused included members of two major families which were headed by older widows, including Elizabeth Southernes and her two children, Elizabeth and James, and Anne Whittle and her daughter Anne Redfearne. Others were dragged into the affair: John and Jane Bulcock (a mother and son) Alice Nutter, Margaret Pearson, and Katherine Hewitt were all also involved in the trial as co-conspirators. A watercolour by Thomas Hearne from 1778 of the west of Lancaster’s keep. The round tower next to the keep was demolished in 1796. From Wiki Commons. Five of the ten people were tried at the castle itself with Judge Bromley presiding, accompanied by Judge Altham. The judges were assisted by Lord Gerard and Sir Richard Hoghton. The prosecutor was a former high sheriff of Lancashire, Roger Nowell, and the clerk of the court was Thomas Potts of London. A year later, Thomas Potts published his account of these events in a book entitled: The Wonderfull Discoverie of Witches in the Countie of Lancaster. Potts chose to dedicate his book to Lord Knyvett, the man who had arrested Guy Fawkes in 1605; the Gunpowder Plot still a fresh memory for many across the country. The political and religious atmosphere played a clear role in the prosecutions and convictions of those imprisoned in Lancaster Castle in 1612. The Wonderfvll Discoverie of Witches in the Covntie of Lancaster by Thomas Potts (1613). From Wiki Commons. The Pendle witch trials, like the imprisonment of Queen Joan, were bound up in the political, religious, and economic turmoil of the period. The role that the castle played in these persecutions may seem minimal at first glance; however, the power and significance that they held in these situation needs further investigation. The stone walls were thought strong enough to contain the magic that these people were accused of conjuring and that in itself is telling in terms of the force castles held in the minds of society. Castles did not only need to keep people out, but they were also used to keep people – and magic – from escaping. Chronicles of London, ed. by C.L. Kingsford (Oxford, 1905), p. 73; Chronicle of London, 1089-1483, ed. by N.H. Nicolas and E. Tyrell (London, 1827), p. 107. See ‘The Captivity of a Royal Witch’ for the printed household account. 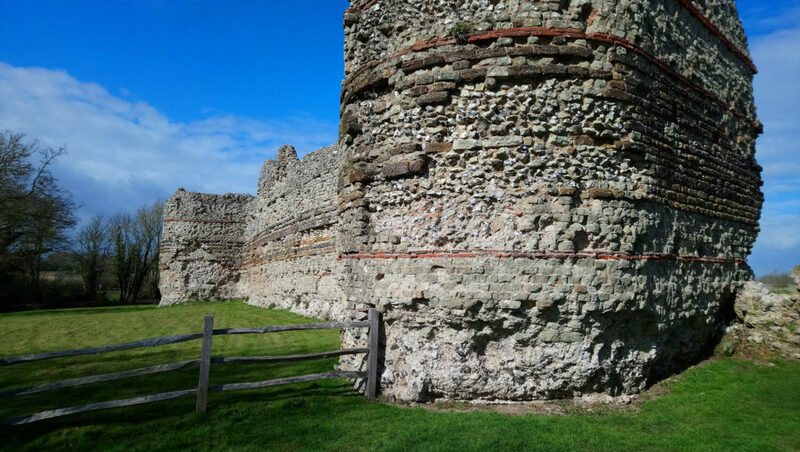 When walking round ruined castles, it can be difficult to picture how they once were. There may be missing floors, the roofs aren’t the same, and entire buildings might have vanished. Even when a structure appears to survive intact, we are usually missing the interior – how it was decorated, the furniture, even how light changed throughout the day. 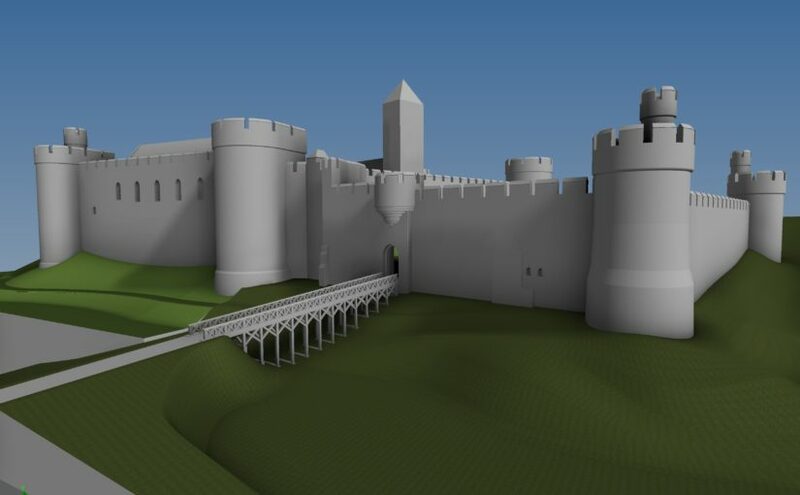 Reconstructions are a wonderful tool for bringing castles back to life. This year, the Castle Studies Trust is funding one such reconstruction. Chris Jones-Jenkins is helping us understand how Ruthin Castle would have looked. You might recognise his name from 2015, when he worked on one of our very first projects, the digital model of Holt Castle, or from his various work with Cadw and English Heritage. We caught up with Chris to learn a bit about what goes into these illustrations and how he got into reconstructions. Older illustrations, like those done by Alan Sorrell decades ago, were done by hand while a lot of reconstructions today are done on a computer. Chris has experience of both, and they are very different processes. When working by hand, you need to start off by choosing your viewpoint and deciding what it is you’re going to show. With a digital reconstruction, you have the option to change the position of where you’re looking from. Chris reconstructs everything in the image and the viewpoint might be the last thing to be settled. With Holt for example, if that had been reconstructed 20 years ago the viewpoint would have been one of the first things decided – what to show, what to discreetly tuck away, and how to balance highlighting everything you want. Instead, as Chris created the whole thing digitally it was possible to use the model to create a flythrough video. A plan of Ruthin Castle from Thomas Pennant’s 1781 edition of ‘A Tour of Wales’, from the collection of the National Library of Wales. Image in the public domain. A wealth of information goes into reconstructions. For Holt and Ruthin, any standing remains are taken into account and modelled, while historical evidence such as paintings or documents are used to fill in the gaps where parts of the structure are missing. Chris trained as an architect and early in his career so has an eye for how buildings are put together, complimenting his skill as an artist and years of experience with historic buildings. Will Davies and Sian Rees have been helping with the research into Ruthin Castle and how it appeared, giving Chris the best information possible to work from. There was a survey of the curtain wall, but done to the wrong scale, which kept the team on their toes. Working with some kinds of source material you get a feel for how useful and accurate it is. 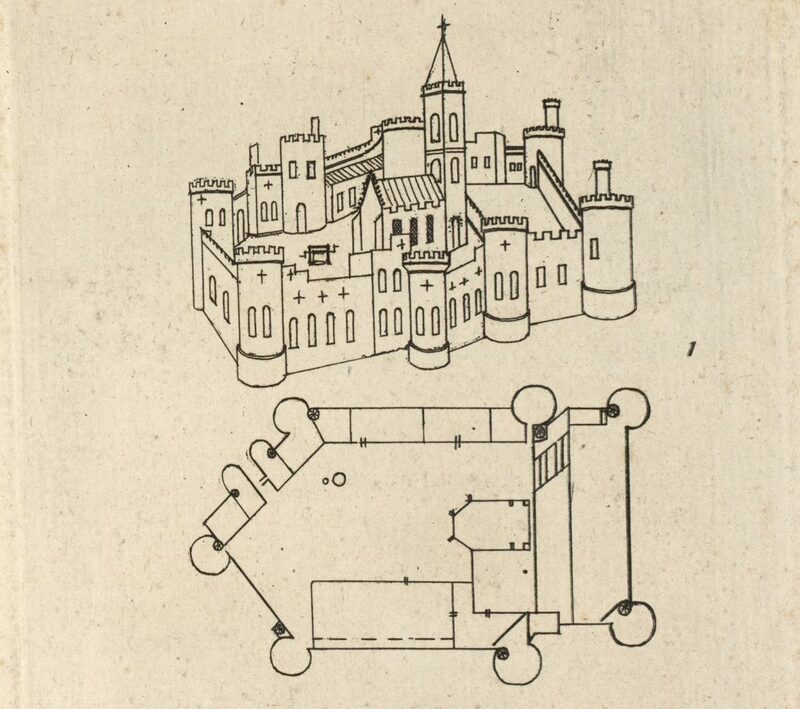 For instance, in the 17th century Randle Holme made some useful plans of Holt Castle in pen and ink. He also created a view of Ruthin Castle, but for some reason his work here wasn’t as reliable. The test is that the parts of the castle that still survive weren’t well illustrated by Holme, so his work needs to be used carefully. A lot of time and effort goes into reconstructions. It can take over six months from start to finish, with drafting, redrafting, tinkering with details, and pausing to research a particular feature or issue. Over this time, the reconstruction grows from a plain model to a textured, colourful building. Reconstructions have an element of educated guesswork, but attention to detail is important. If you misstep and include something not appropriate for the period there are eagle-eyed heritage lovers who spot this kind of thing! New information is being uncovered about Ruthin, which directly informs Chris’ work. But there are some questions, like the forms of buildings, which are only likely to be answered by excavation. Chris has been working on reconstructions since the 1980s, and aside from the change in technology has noticed an interesting trend. Previously, there was often emphasis on showing the structure while more recently the organisations commissions reconstructions want to populate these buildings, showing daily life inside. Talking to Chris, one thing that cropped up is that reconstruction artists don’t often get to hear what the public think about their work which is a real shame as it can make a world of difference to a site. So when going round a historic site, if you see a reconstruction that captures your imagination or helps you understand the place better, pass on that positive feedback. The image at the top of this page shows the a work-in-progress version of the reconstruction. Subscribe to our quarterly newsletter so you don’t miss news about the finished reconstruction and our other projects.